Despite serious objections raised by prosecutors, a Miami judge recently permitted a murder convict to use medical cannabis to keep his longtime schizophrenia under control, after he was authorized to participate in Florida’s fledgling medical marijuana program. On probation for his involvement in a 1999 gang murder, Miguel Valdes regularly used multiple medicines to cope with schizophrenia. The State Attorney’s office, which vehemently opposed the judge’s decision to allow Valdes to smoke weed, argued that the 34-year-old convict had earlier committed murder under the influence of marijuana. However, Valdes denied the charges saying that he has been well behaved for a long period and required the drug to calm his nerves. “It keeps me mellow, I really need it for my sleeping. When I’m not taking it, I wasn’t sleeping and I’d wake up in a bad mood. I feel better now,” said the convicted killer. Though this is a first of its kind case in Miami, experts believe it won’t stop here. Legal experts say that the increase in the number of people receiving state approval for medical cannabis use is all set to put judges in a dilemma whether convicts should be allowed to get high while in judicial custody. Florida is one of 29 states with legislation that allows weed for medical purposes. However, across the United States, state courts have varying opinions whether to allow convicts and people with criminal backgrounds to use medical marijuana in the backdrop of federal laws, which maintain that cannabis is an illicit substance and can’t be used by probationers. 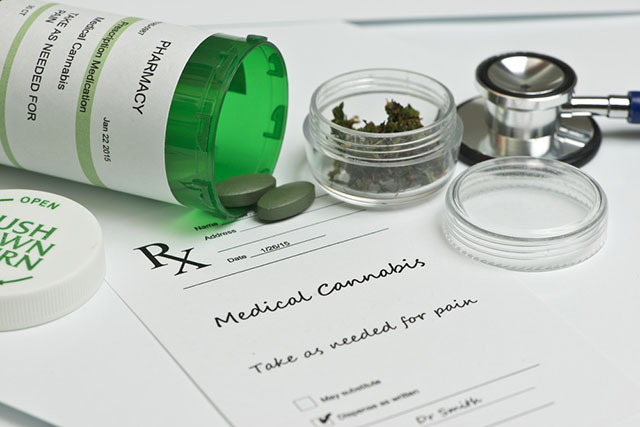 According to David Mangone of Americans for Safe Access, which advocates medical weed, “Probation is one of those areas in which a lot of states lacked foresight when they crafted these medical marijuana programs.” In Florida, the first law governing medical pot was passed in 2014. Two years later, pro-cannabis voters increased the scope of the law to include conditions such as post-traumatic stress disorder (PTSD), AIDS, HIV, glaucoma, Crohn’s disease and Parkinson’s disease. Though the statute does not specify schizophrenia in particular, it says marijuana can be used to help patients struggling with any chronic condition in which the drug’s medical properties would outweigh any potential health hazards. The law allows patients to use marijuana edibles, pills, oils and vape pens, but prohibits smoking. Marijuana is the most commonly used illicit drug in the U.S. Experts feel that total legalization of the drug can never outweigh the potential damages, which would affect the public health and safety, and workplace. Schedule I of the Controlled Substances Act (CSA) classifies it as a drug with “no currently accepted medical use” in the U.S. and prohibits doctors from prescribing it. The Drug Enforcement Administration (DEA) has blatantly denied its therapeutic value, citing lack of scientific evidence despite a growing uproar to legalize it for treating a variety of conditions. If you or your loved one is battling addiction to marijuana or any other drug, seek treatment immediately. The Miami Drug Treatment and Rehab Center can help you get one of the best addiction treatment programs and embrace sobriety. You may call at our 24/7 helpline number 305-615-2028 for more information on different treatment options in your vicinity.